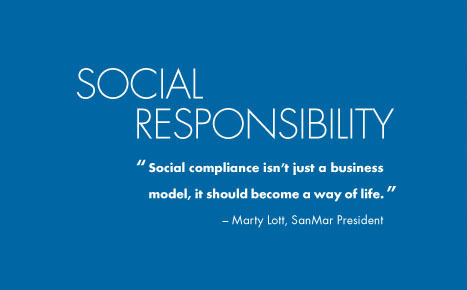 ARCOMPANY | Social Justice: Why All the Fuss About Businesses Being Socially Responsible? 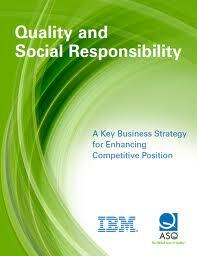 Social Justice: Why All the Fuss About Businesses Being Socially Responsible? Home / Social Justice / Social Justice: Why All the Fuss About Businesses Being Socially Responsible? It has been a refreshing and inspiring responsibility to write the Social Justices series for ArCompany, especially since we turned our focus to highlighting companies that make doing good an integral part of their business. We are never at a loss for a subject, as an entirely new class of business has arisen over the past couple of decades. For many years there were two worlds of business: For Profit and Non Profit. Your goal was either to make money, or to do good. A new class of corporation required to create a material positive impact on society and the environment and to meet higher standards of accountability and transparency. Warby Parker, a company we featured a few weeks ago as we tracked their outstanding growth and social good impact, is also a B Corp. This very creation of a new category of business is indicative of the very real change in consumer expectations and what they expect from the companies they choose to do business with. The rise of B Corporations isn’t a surprise when one considers the change in society’s expectations of corporations. The web, and of course the Social Media universe after it, allowed for a far greater exchange of information. A concerned and conscientious consumer can now find out far more about the companies they purchase from, and they can find it out and spread the word quickly. This means that companies like Toms Shoes, can ride the wave of feel good word of mouth that social media facilitates, but they also must suffer from push back when their practices are questioned. Small companies like Nisolo, that are built on doing good, can learn to spread the word about their amazing products much more effectively by harnessing social networks. There is a very long list of large corporations that have been forced to deal with a multitude of PR Crises made more pronounced and destructive by the power of social media. And that’s just a small number of household name brands that have had to deal with big social media firestorms impacting their reputation; but there is more than simply reputation management that matters. In May, Cone Communications released a study that highlighted how significant a company’s reputation and business practices matter to the current generations of consumers. No longer a nice-to-do, corporate social responsibility is now a reputational imperative – or liability. …Companies are expected to be an active participant – if not a driving force – in solving the most pressing social and environmental issues. Corporations that disregard this consumer-demanded role risk more than their reputation – nine-in-10 global citizens say they would boycott if they learned of irresponsible behavior. It has become obvious that consumer’s expectations have changed, and the paradigm has shifted considerably from even the 1980’s, where Greed was Good and profit was the name of the game. Much has been written about the Millennial Generation and its more tolerant, socially conscious outlook; I personally have expressed a considerable amount of hope that their inclusive, entrepreneurial mindset will bring considerable change to certain societal concerns, particularly within the US. In an exchange on Facebook, my partner Danny Brown expressed that each generation has a segment of its population that is focused on doing good. I don’t disagree, and I think combined, Gen X, the Millennials and Gen Z are the drivers of the very different consumer expectations that companies are now forced to deal with. Many businesses are not only facing, but embracing the expectation of socially responsible business practices, and job seekers are taking notice. In June, The Network for Business Sustainability published a piece on the work of Dr. David Jones of the University of Vermont’s School of Business Administration and Dr. Chelsea Willness of the University of Saskatchewan’sEdwards School of Business. In an economy still reeling from the crash of 2008, one may question whether job seekers have the luxury of being that picky. Smart business leaders know this: the good ones always do. For many, the gluttony of the pre-crash years and the ramifications of the Great Recession have made them look hard at what they want out of life. Companies wanting to attract the best and the brightest will have an easier time doing so if they have a strong social responsibility element. ArCompany was founded to help companies utilize the power of Social Media as so much more than simply a communications tool; we understand that being able to collect, understand and utilize the vast amount of information and insights available via the organic conversations going on among consumers is where the real potential lies. Social media is changing the face of CSR, as citizens worldwide have unprecedented access to information about corporate behavior, says Alison DaSilva, executive vice president – Research & Insights, Cone Communications. Social Responsibility, like Social Media, is no longer simply a tool to be used by a company’s Marketing Department. As businesses like Toms Shoes and Warby Parker, powered by social good, turn industries on their heads by disrupting long standing business models, the rest of the business community is paying attention. Things have changed, dramatically, and the companies that understand the new paradigms will prosper greatly. This is intriguing. I really like the stats you listed, and I can see where both consumers and prospective employees would choose the more socially responsible brands. I do struggle with the wording of the following: “91% believes companies must go beyond the minimum standards required by law to operate responsibly”. I just don’t think that jives with our own efforts – it’s a little hypocritical. I think it is like consumers surveyed stating “do as I say, not as I do”. Having said that, multiple studies agree w/your assessment that the Millennials are rallying around a “group identity” of being the generation that pursues social good and overall CSR. Shame the past two generations had to put them behind the 8-ball regarding debt and the drain on natural resources. dbvickery Well, I’m sure you’re right – we survey as we should and not as we always do. However, companies are certainly taking notice that socially responsible practices earns them good will AND word of mouth. And DannyBrown will tell you that every generation has their do gooders. I have a lot of hope invested in Millennial, and us old folks too.